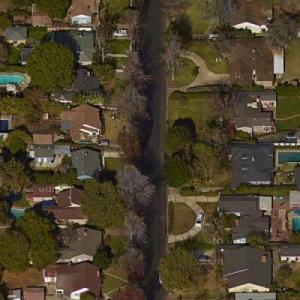 Orion Avenue in Van Nuys is the most-filmed residential street in Los Angeles (therefore possibly the world), according to the Entertainment Industry Development Corporation, the entity responsible for issuing film permits in the city. For one block, the ranch-style homes have uniform lawns, and a middle-class, middle-American look, complete with white picket fences. The homeowners have banded together to create this film friendly area, and to reap the financial rewards for the frequent inconveniences that film productions can bring. Downing street in London is a residential street; that's on the news most days in the UK. I don't buy this for a second- there are not even any sidewalks!!! I live a block from Orion and it's true.